Harvest large quantities of crop quickly while retaining all of the valuable nutrients for your animals. The renewed intake system of the Storm 300, in combination with the 220 cm wide camless pick-up, increases capacity. It also shortens the time spent in the field. The crop is chopped in the most efficient way. Altogether this results in great feed quality for your animals. Enjoy non-stop harvesting and save time, regardless of swath, crop or ground contours. Smart techniques level out peak loads and the unrivalled blowing power ejects the crop consistently. The pick- up machine follows the ground contours perfectly, as well as following any swath flow by slight lifting. A machine made for all conditions. Easily save on fuel costs and harvest in a sustainable way. The chopping machine is designed with a focus on low energy requirements, at the same time ensuring an unrivalled blowing performance. This way you save not only on fuel costs, but also on time needed to get the job done. A welcome advantage in peak season. Enjoy user friendliness in addition to increased feed quality and higher capacity. 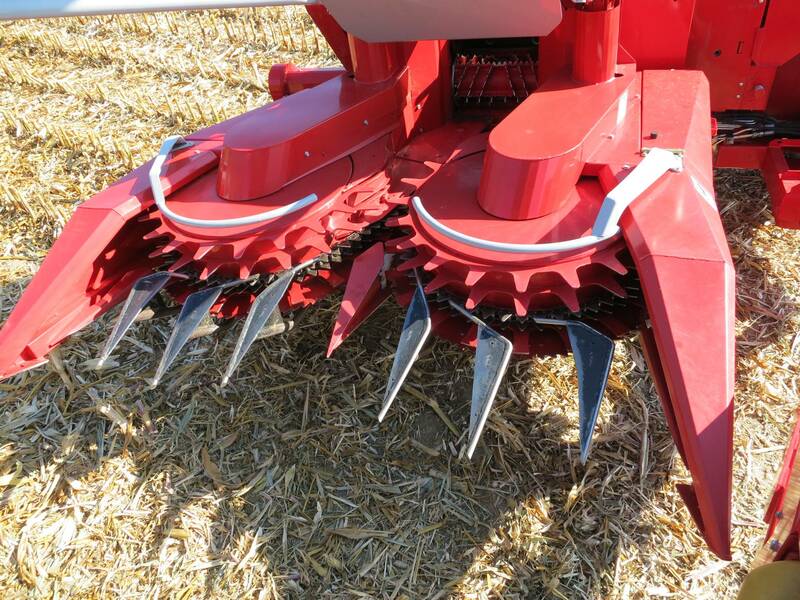 The Storm 300 can be adjusted easily between grass and maize harvesting. Just switch the pick-up from a grass to a maize header. The ISOBUS system enables intuitive and easy steering of all functionalities from the tractor cab. This makes quick and easy harvesting possible. 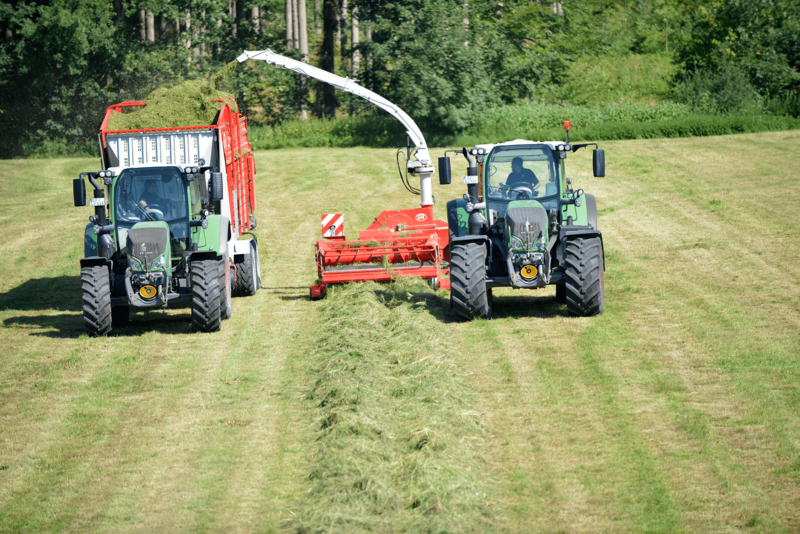 Shorten crop length to compact silage perfectly and process it easily. Chopping is the most precise way to achieve this. 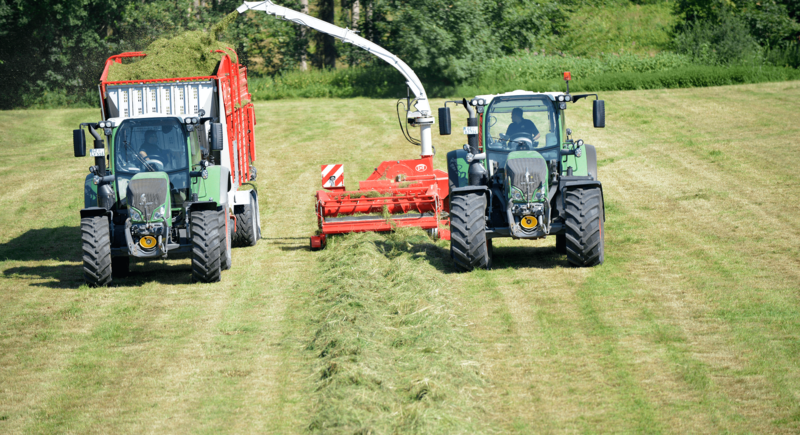 With a range of intake systems, our forage harvesters can be used for several types of crop.